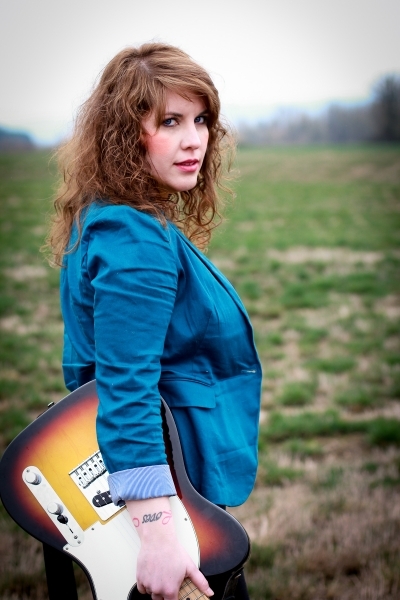 Dawna is a musician, athlete and small business owner from Portland, Oregon. She pursues her life’s passions with a goal to motivate and inspire others by being genuine and transparent in her personal journey. Dawna became a Certified Health Coach in 2010 and since that time began building her online presence which by 2014 became Fit Guitar Girl, featuring her fitness journey and original music. She also seeks to highlight things that have authentically been a part of her life and home. Ron is truly an East County legend. For over 30 years his amazing talent as a one-man band, singing while playing both the guitar and drums, has been delighting audiences at local events and establishments. He has performed at Rockin Round the Block as well as various car shows in Gresham and has been a fixture at Lydia’s on Sunday nights. He brings tons of oldies and Rock n Roll favorites to the stage. Ron sings hits from BB King, Kool and the Gang, and Roy Orbison, to name just a few. Expect to hear songs from the 50s & 60s to the 90s, in a vast mixture of Surf Rock, Standard Rock ‘n Roll, Blues, R&B and Rockabilly. It will be a special treat to have him take the stage and cut loose for us. So come and do some shopping, eating, and enjoy the show. LEW JONES’ music career spans over three decades. As singer, songwriter and guitar virtuoso, Lew has opened for or shared the stage with Chubby Checker, Clarence Clemons, Shawn Colvin, Donovan, Tim Finn (Crowded House), Buddy Guy, David LaFlame, Los Lobos, Ray Manzarek (The Doors), the Meat Puppets, The Rippingtons, Dan Siegal, and Tower of Power, among others. A winner of The Portland Music Association’s Crystal Award for ‘Outstanding Folk Act’, Lew had a local hit on Ripcord Records with “The Terwilliger Bridge/I think I’m Gonna Rain Tonight in 1978/9 and his song ‘Saint John’s Street’ included on the NOPO Compilation in 2007. In between, he has written and recorded multiple CDs, including 2003’s Sublimation, and reaped extensive international airplay from three ‘Rainbow Samplers’ put out by Poetman Records. Lew has performed at a variety of regional and local events including Seattle’s Bumbershoot and the Portland-based NXNW, Rose Festival, The Bite of Oregon, and The Mayor’s Ball, and his US tours include gigs up and down the west coast and across the country. Lew is also an established poet and popular painter/muralist. The band has been a popular NW attraction for over a decade. The A&E once called their style "Spicy Americana Originals" and reviews in Positively Entertainment say that Wayne is a "consummate performer and story teller" and that "the heart and soul of his music ricochets off you like a mountain sunrise welcoming a new day." The legendary Dave Carter said, "Take a heart as big as the western sky and then completely invent anew mousetrap around it and you'll have something like a song by Wayne." They are funny, up tempo, a little risque and all around good time. The band does original songs and several have won awards. "Blue" was the Portland Songwriters Association song of the year, Dallas Song Writer Association voted "So Easy" as a winner in their singer songwirter category, and "Remember Me" won the Nashville Golden Pen Award. The band includes Paul Hirschmann on lead guitars, Mark Evilsizer on drums, KJ Miller on vocal harmonies, Brent rogers on bass and vocal harmonies, and Wayne Richards on vocals and guitar. Southern Nights is a guaranteed good time! A singer/songwriter with a soul edge. Steve delivers his brand of blue-eyed-soul-Americana-pop in the tradition of Daryl Hall, Sam Cooke, Bill Withers and James Taylor. His love for melody is woven deeply into the chordal fabric of his songs, making his music rich, sultry glowing and delicious. An Oregon native, Steve Hale has been a singer, songwriter and producer in the Northwest for over 30 years. He’s played and toured in many different bands with varying styles; from soul, to power pop (Kashmir), to glam funk (RIA), to bringing it back to the source with a single guitar and voice. He’s won an international song writing contest, co-authored three songs with Gino Vannelli on his album “These Are The Days”, was the lead singer in The Steve Farris Project (guitar player from Mr. Mister), worked with Playwrite helping youth find their voice through writing music, has sung back up and played on numerous international, national and local artists recordings, as well as doing vocals for radio spots and promotional materials. He has produced two heartfelt and soul filled albums of his own material: Illusion” and “Words, Wire & Wood”. Born and raised in Salem, Oregon he now resides in Lake Oswego. As well as doing his original material Steve is also playing bass in an 80's band, Nu Wave Machine, an improvisational pop band by the name of Canoofle, and a New Orleans inspired band called B3. The JT Wise Band was nominated Best of Portland and are at the top of the ReverbNation Americana charts. The band will be performing with their acoustic trio at the market. There will be something for everyone with original tunes and old favorites, 3 part harmonies and toe taping good time music. JT is joined by bassist and songwriting partner Margaret Wise, and Jim Stein on rhythm and slide guitar. JT Wise tunes have been played on Local Roots, KBOO and Kink radio. Shanghaied on the Willamette is the lively musical duo of Jonathan Lay and Gordy Euler. We perform songs and tunes "plundered from land and sea," including traditional Celtic, English, and Old-Time American music, especially music of the sea and waterways. We accompany our vocal harmonies with a "fleet" of acoustic instruments, including fiddle, bodhran (Irish drum), guitar (6- and 12-string), mandola, tin whistles, harmonicas and banjo. Jonathan, who’s powerful and supple voice can do justice to a gentle ballad or a rough-and-tumble sea chantey, plays guitar, tin whistle, harmonica, and a rollicking bodhran. Gordy is a skilled vocalist and a multi-instrumentalist who easily switches among fiddle, mandola, tin whistle, guitar and banjo. This broad range of sounds allows them to craft exciting and varied arrangements and programs. Randy Foote and the Skankin’ Yankees is an exciting, up-beat, new reggae band based out of Portland, Oregon. Since their formation in 2011, this band has been getting the roots party rolling wherever they go! Singer/ percussionist/ recording artist Randy Foote has been an important and consistent figure on the West Coast music scene for decades. He has a loyal fanbase that fondly remembers his performances with the Hudson Brothers, his videos on MTV, and his hits with the pop 80’s band, ComboNation… they eagerly hit the dance floor when he brings his reggae rhythms to the local clubs! His newest project, Randy Foote and the Skankin’ Yankees, is catching the attention of reggae enthusiasts all around the Portland area. The Skankin’ Yankees perform a vast selection of original compositions, classic roots, and current reggae covers. The melodies are mastered by amazing lead guitarist Jim Moore (of Roots Revolution, Chata Addy). Their rock-solid rhythm section is anchored by drummer Marv Bauer (of Western Union, Mirror Mirror) and bassist Lou Butts (of Little Women, The Native Suns). Randy Foote and the Skankin’ Yankees are ready to Rock! Their professionalism, experience, and talent will not disappoint! JG and The Cover Kings are a nine member classic rock band that originally began 21 years ago. It started as a jam night for a group of friends (all men) with many different instruments and just wanted a place to play. They called it the Thursday Night Gentlemen’s Club. Eventually they had played together long enough to get their sound right and they started booking some small gigs. They played local bars, some private parties, a few weddings and annual shows at Oaks Park. And of course, they continued their Thursday night jams and still have them today. The majority of the original members of JG and The Cover Kings are still in the band, as only a few have changed over the years. 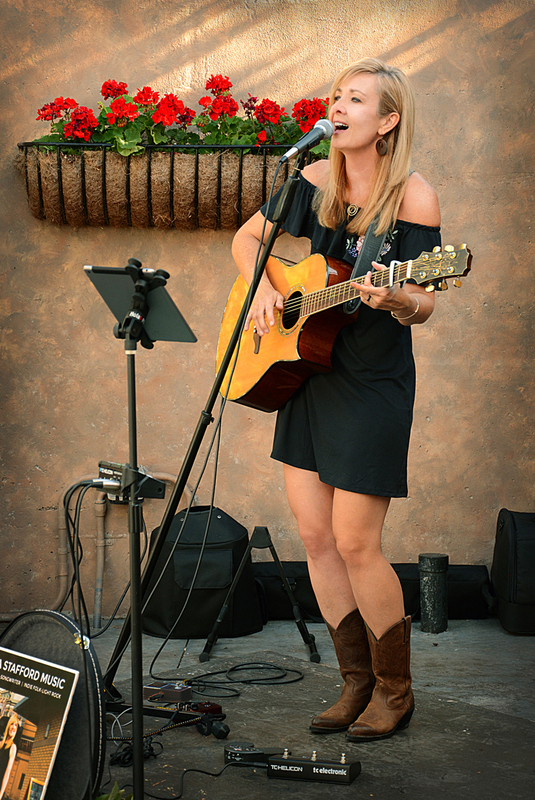 The most recent and significant change to the band was the addition of a female lead vocalist in Jennifer Gantner. Her father, Curt “Corndog” Nelson was the original lead singer and helped build the band from the beginning. The original name of the band was simply The Cover Kings, but with the addition of a woman, we thought a slight name change was in order. Jennifer inherited her father’s singing talent and frequently joined The Cover Kings onstage at shows around town, both as backup to her dad and as lead on a few songs of her own. She grew up around this group of men and knows them like family. Sadly, Curt passed away in 2015, but his musical legacy lives on through his daughter and his band. The Cover Kings asked Jennifer to be their new lead singer and they played their first show together in June 2016 at Oaks Park. Although classic rock is the band’s main forte, they also deliver a mix of blues, soft rock, soul, and even a little disco and country. They cover classics such as Brown Eyed Girl by Van Morrison, Margaritaville by Jimmy Buffett, Hurts So Good by John Cougar Mellencamp, Don’t Get Me Wrong by The Pretenders, Dream by Fleetwood Mac and many others. JG and The Cover Kings just simply love to play music. They particularly love to play songs that make people happy, get people dancing and want to sing along! Music was a path that both Brent and KJ knew they would follow. Brent, a firefighter in Texas and KJ, an artist in Washington were worlds apart but pursuing the same dream. By chance, their paths collided in 2009 at a songwriting expo and their artistry ignited together on stage. "A Little Bit of Our Background..."
KJ has a few highlights as well. She has opened for many acts in NY including Chubby Checker, Bobby Vee, Mitch Rider, Spencer Davis and The Rascals. In Nashville she has recorded with David Frizzel on his album, "My Life Is Just A Bridge." She was featured in Brooks and Dunn's music video of their hit song "Rock My World," and on the TV series "Dream Girl USA." She has performed in Europe as well as for the King of Malaysia in Kuala Lumpur. Since Brent Rogers and KJ Miller can range from a duo to a six-piece band, they have the versatility to play at many different types of venues. They deliver a blend of classic pop, rock, blues and country hits mixed with their own original songs. Their soulful lead vocals and magical harmonies captivate their audiences and brings their music to life! Playing both originals and cover tunes in bands throughout high school and beyond, Bernie toured the Rocky Mountain states, opening for national acts such as The Steve Miller Band, Badfinger, Quicksilver Messenger Service and It’s A Beautiful Day. Pencil and paper, guitar, piano, are Bernie’s songwriting tools and his style has been characterized as acoustic pop. His musical influences have been many, with Steely Dan, Boz Scaggs and Kenny Loggins among the strongest. His blending of fluent jazz/pop guitar stylings, memorable hook-oriented songs and his strong vocal performance make for a rich musical experience. Bernie writes about what he observes - of love gone well and love gone away, of nature and our place in it, of the need for social responsibility, and the many faces of love and kindness. 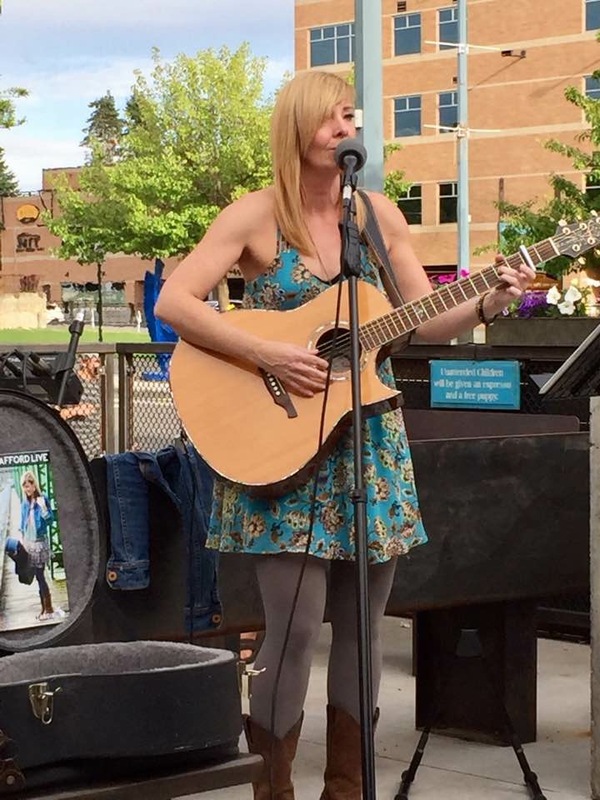 Bernie’s recent performances include the Robin Hood Festival in Sherwood, the Rotary Concert Series in Wilsonville, a variety of farmers markets, and other CD release events. His live performances often incorporate pop and rock classics from artists such as the Beatles, Crosby Stills and Nash, Van Morrison, Steely Dan, Michael Buble, Seal and Train, among many others. His 2017 release, “From A Dream” includes ten original songs. His previous CD “Alter Ego”, was released in 2002, and features several respected Portland area musicians, including Dan Balmer, Jay Koder, Barry Aiken, Mel Kubik, Gary Ogan and Scott Frost. Chris has been performing throughout the northwest for 30 years. He is an alumnus of Mt Hood Community College and Portland State University. Chris has written and performed music for various projects including Microsoft video game "Arthur" (which sold over a million copies worldwide), PBS, Thriftway Inc., Nike, Intel and many others. He has performed on several live television broadcasts including, A.M. Northwest, Good Day Oregon and others. Chris and Island Breeze have been performing in the northwest for over 25 years. They play many different styles of music from all over the world. 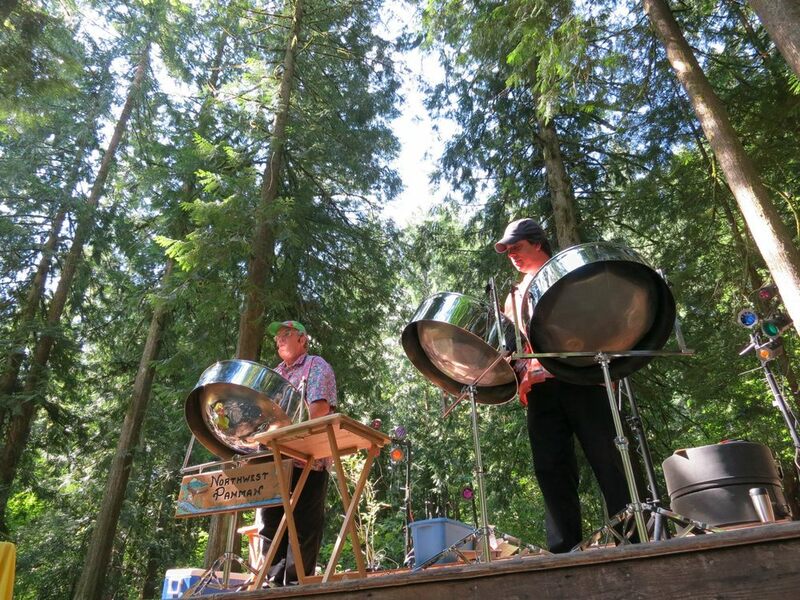 Their music highlights the Steel Drum or "steel pan" from Trinidad,West Indies - as well as the vibes, (xylophone) marimba, the use of guitar both electric and classical, bass - both acoustic and electric, and percussion, drum set, congas etc. Influences: Andy Narrell, A.C. Jobim, Airto, Jazz, J.S.Bach, Carlos Santana, Astor Piazolla, Old Calypso, New Calypso, Classic Cuban, Reggae. Christopher and Byron also compose original music. Here is a video promoting their appearance at The Market. Fun in the Style of Jimmy Buffet! With two Steel Pan Players and a Guitar playing vocalist, Tropical Wave is a smaller version of the nationally recognized Jimmy Buffett tribute band Tropical Storm. Based right here in the Pacific Northwest, this trio is sure to put a smile on your face and get you moving with the music. Each musician is exceptionally talented, and combined as the Tropical Wave, the group is better than ever. This is truly a very special treat for our Saturday Market. So come and listen to Tropical Storm with your ears and watch your feet get happy! Scot's interest in drumming began 30 years ago , as a passion to make music from the heart. He started on drums with childhoodfriends, at first only playing in garages and whatever set he could practice on. The beats that he thought of often, soon after began to take shape and herealised that this was a well chosen instrument for him. Scot also started on guitar by age ten and still loves it today. Scot plays hand drums as well as a full percussion set and is always open and trying to creating new sounds with a variety of techniques and. Instruments. The ability to make music for others to hear is a big part of his life. Scot strives to always learn and expand the possibilities to achieve happiness and enjoyment for the love of music. Perry Gerber is a local celebrity in Lincoln City, Oregon. Over the last 35 years, his passion for playing music provided him the opportunity to tour with Sara Evans and The North Santiam Band. That era included opening for Willie Nelson and Tim McGraw. This homegrown musician has played regularly for the last 20 years with his cover band The Ocean, coastal celebs Bret Lucich and Michael Dane, and toured the Casinos and McMenamins with Jimmy Bivens Band. Over the last few years, Perry has moved center stage as an acoustic singer songwriter with his originals. Last year, Perry put together a rocking Portland band with award winning Bassist Kurt Bevers and Drummer Rod Coleman. The three 60's crooners enthusiastically appeared onto the 2016 summer circuit with festivals, wineries and summer concerts. People respond to Perry's beautiful and melodic voice. He crafted tuneful songs about life and journeys, love and heartbreak. A great entertainer, Perry has a knack for pulling the crowd into his music. His incredible energy on stage engages the audience with his soulful tunes. His original song Sandy Beaches landed him a spot as an emerging artist with Supercuts – ‘Rock The Cut’ campaign, being featured in over 2000 locations nationwide. The scope of his new CD, I BELIEVE highlights Perry’s hard-hitting rock acoustic guitar strumming but also brings attention to his gentle finger picking and percussive playing style. The words are thought provoking and meaningful and are emphasized by his beautiful story telling and vintage sound. Kurt Bevers, bassist, has been playing music since he was 7 yrs. old. First playing guitar, he soon found the REAL DRIVE in the band came from the Rhythm Section, and most specifically, the BASS. Recording his first album at 16 years old. Performing in National Acts, Top 40 Show Bands, Writing, Producing other Artists, and Engineering Recordings and Concerts has earned him a nomination to the Oregon Rock & Roll Hall of Fame for a Lifetime Achievement award in 1998. Kurt Bevers is a native of the Northwest. He played in many of the local and national acts you may have seen like; GOLDRUSH, ROSEWOOD, STONEYPOINT, AIRFLO, FOOLISH PLEASURE, SECRETS, and ROMANCE. He also did a stint as the Bass Player for Capitol recording artist JONI HARMS. Kurt is a published songwriter with airplay. He also produces recordings for a wide variety of types and styles of music. Kurt engineered the original recordings that started Oregon Public Broadcasting's Digital Music Program that resulted in 3 award winning CD's to date. In 1998, Kurt was nominated to the Oregon Rock & Roll Hall of Fame for a lifetime achievement award. In 2002, He was tapped as one of 25 Hand Picked engineers to establish Lucas Arts Studios Worldwide Monitoring standard for THX Surround Sound. Rod Coleman is an accomplished songwriter and "big fish" from a "small pond" of talented drummers in Southern Oregon. His credits include numerous recording projects, and live performances from Seattle to Los Angeles. In 2013, he relocated to Portland Oregon, where he played Blues/Rock in local clubs before co-founding the Groovebirds rhythm section. Amber Sweeney - COMING MAY 28TH! We have been carefully watching the local weather forecast for Saturday. They have now posted a High Wind Advisory for 8 AM and 3 PM, with gusts upwards of 40 MPH predicted. For the safety of vendors and customers, We feel it is is necessary to cancel the GSM for the 29th of August. We have a unique situation in the Kmart parking lot. We have full and unprotected exposure to Westerly and Southwesterly winds. There are no structures or large trees to help mitigate strong winds. We did a cancellation once during October in 2014 and other markets around Portland had tents go airborne with resulting damage. Our preference is to err on the side of caution - for safety and liability reasons. We hope you all understand and we look forward to seeing you on September 5th. The drive behind the JASKAMON music project is Barry Klusman who produced their latest CD, "All The People". With his characteristic left-handed guitar playing and smooth vocals, Barry has a rich history with the Oregon music scene. Barry came to Oregon in the early 70s. It was vastly different from what he had known in New Jersey and Massachusetts where he grew up. He was one of many people who were struck by the uniqueness of the Pacific Northwest and quickly grew roots in Portland. It wasn't long before Barry started a band, and then another... He started singing popular cover tunes but Barry soon incorporated originals in his acts. Some of his bands, like SPYN and the Eclectic Coconuts, became enormously popular with the potential to become national. But as Barry likes to say, "Although music is my life, my life is in Oregon." JASKAMON's new CD is Barry's best music ever. Called "All The People" the CD contains a mix of high-energy island music with a reggae-ska-soca rhythm and Caribbean ballads that have been well produced with four main players and contributions from many of Portland's best musicians playing keyboards, saxophone, trombone, trumpet, marimba and miscellaneous percussion. The CD will be on sale at the Gresham Saturday Market before, during and after the performance. Some of the songs feature Randy Foote of The Skankin' Yankees, a seasoned musician who has played with the Hudson Brothers, ComboNation and even had a video on MTV. "All The People" was conceived and grown in Oregon. JASKAMON's unique island style is uplifting and energizing. With each tune you can feel the warm sun shine and lively rhythm of the tropics. My musical journey started in the back seat of a Ford Fairlane (no seatbelts). By age six I was singing barbershop songs with my family that my Dad performed in his quartet. By 13 I was singing “Louie Louie” in my first rock band. A few more bands in high school, the high school ensemble group, and I had started learning to play acoustic guitar. I picked up extra money as a singing busboy at The Rhinelander Restaurant. More music in college, and songwriting became one of my new adventures. A recording session in L.A. produced little, but between mishaps I wrote here and there. I supported my music with restaurant work, but by age 24 was the full time in house musician at Mt. Hood Meadows. A few years later marriage and children raised the serious notion of actually having a home, and a stainless steel gas BBQ. Fast forward 20 years and the urge to leave the corporate world along with a yearning for musical collaboration conspired to advance my return to recording and performing. The last 7 years I have been playing at the Portland International Airport three days a week, various coffee houses, and restaurant venues in the Portland area that seek beautiful melodies and not too many glaring mistakes. Put on your dancing shoes and be ready to have some fun. The members of Funk Town Band have a combination of experience to satisfy the musical groove in anyone. Angel James is the lead singer for Funk Town PDX. Her rich voice brings the best of soul, funk and classic rock to the stage. She has sung back up and fronted for many musicians around the Portland area including the now National star Liv Warfield. Ron Barnes musician extraordinaire’ on the trumpet, saxophone, and keys has been around the music industry for a long time. His professional sounds have been featured through well known local groups such as “Rodeo”, “Reflections” and he also currently plays with National and local artists such as Jay Koder. Patrick Condon comes to us from Rhode Island where he rocked the East coast with music in his own bands. His skills on the guitar are timeless and he leaves you wanting to hear more. 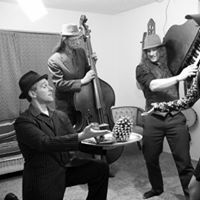 Besides playing lead guitar in Funk Town PDX Patrick currently has his own band called Tender Deluxe which plays throughout the Portland area. Nicole Carlon lays down the groove on bass. Nicole had been with the Chris Loid Band playing bass and vocals for the last four years before she became part of Funk Town PDX. Nicole also had her own groups such as “Niki and the Other Guys” and currently the leader and bass player of “Girls Night Out.” Portland’s premier All Girls Band. Brennan Clark locks in the beat on the drums for Funk Town PDX. Brennan’s local experience brings solid rhythms to the music of Funk Town. He also plays with another band that rocks originals. Tom Anderson on the trumpet is a local artist that has been in the Northwest playing on church teams and backing up artists with his harmonies on trumpet. He is an accomplished musician that rounds out the sounds of Funk Town PDX. Portland’s cooking up some Booligh Jam - organic, free-range, cage-free folk-rock! 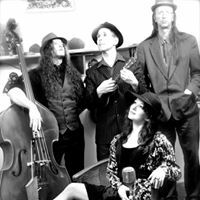 * This band’s jammy, jazzy arrangements of covers and originals are deliciously innovative while celebrating songcraft and the spirit of the music. The band’s influences run the gamut from roots rock, to folk to Jazz to Irish. Booligh Jam features the talents of violinist Deb Katz, drummer/percussionist Bob Anderson and multi-instrumentalists/singer-songwriters Tommy Dunne and Mary Harvard. The four have been playing together for over seven years, folk-rocking it up in Portland-based groups. In that short time, they’ve cut two CDs, and have played in kitchens all across the state of Oregon.